Welcome to this episode of the Real Fast Results podcast! Maruxa Murphy is today’s special guest, and she’s got some really exciting things to share. You’ll be able to use the information provided in your own business, regardless of what type of business you have. Aside from being an outstanding wife and mother, she is known for connecting great people with awesome ideas and amazing resources. She is also the founder of Perky Perky Coffee, which sells powerful and premium coffee to customers nationwide. Maruxa loves to activate greatness in others and to challenge her customers and clients to live out a full and alive life. About a year ago, Maruxa had an idea. She asked, “What if there was a coffee line that spoke directly to women like me?” That is, overworked, overtired, and over-it moms, who really knew, deep down, that they were ready to do more than just filling the role of “Mom”. Thank you so much for having me on the show. For those listening, hello, hello. It’s nice to meet you all. I’m really glad to be here. Today’s big, fat promise… I believe that if we can create momentum when we are launching something, like I launched Perky Perky… Holy Cow! The sales just show up. So, I want to teach moment. I want to teach momentum building in launches today. I think that we should care because we spend so much time and energy doing a launch. So, if we do it in a way that’s intentional and allows for people to know about your product beforehand, then your launch will be more successful. It just makes sense, right? 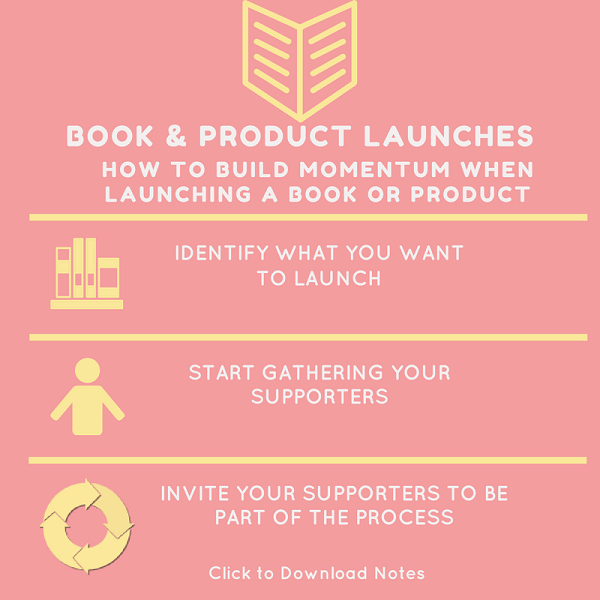 A lot of people think about product launches or book launches like, “If I build it, they will come.” They think that, all of a sudden, it’s going to be an overnight success, but there’s really no such thing as overnight success. There’s time and energy put in both before and during the launch, which can really create and craft an experience for your customers and your potential clients. That’s a great question. If you want to follow the Perky Perky process and see the journey, get onto Facebook or on our email list. If you want to like our Facebook page, just look up Perky Perky Coffee. Make sure to add the word “Coffee” at the end because you might run into other things if you don’t [laughs]. You can also go to PerkyPerky.com, and if you go there, you can get a 20% off coupon to buy your first bag of coffee. If this is something that’s of interest to you, and you want to understand more about how I build communities, I do consulting on that too. I really believe that… I want to see more. More entrepreneurs really creating something from their heart and from their spirit, and in turn, that creates profit for you and for the people that you serve. So, I do that, and you can set up a consult with me at MaruxaMurphy.com. Excellent podcast on creating and building your audience and business. Around the middle is some excellent info on how to use crowd sources to create content. Thanks for you comment Bruce. Maruxa definitely knows her stuff.